Seyed Hosseini, S., Agha Mohammadi, M., Mousavi, M. (2013). Study of Photoisomerization in Cis-Retinal as a Natural Photo Switch in Vision Using Density Functional Theory. International Journal of Advanced Biological and Biomedical Research, 1(11), 1505-1511. Seyed Mahdi Seyed Hosseini; Mohammad Agha Mohammadi; Mohsen Mousavi. "Study of Photoisomerization in Cis-Retinal as a Natural Photo Switch in Vision Using Density Functional Theory". 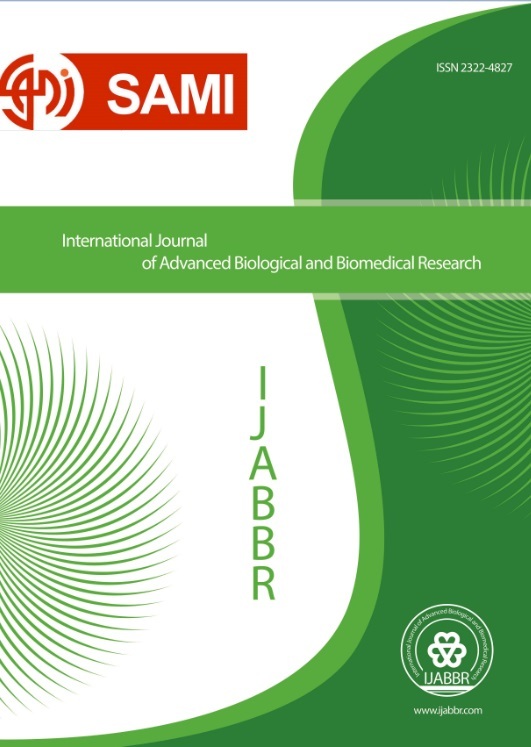 International Journal of Advanced Biological and Biomedical Research, 1, 11, 2013, 1505-1511. Seyed Hosseini, S., Agha Mohammadi, M., Mousavi, M. (2013). 'Study of Photoisomerization in Cis-Retinal as a Natural Photo Switch in Vision Using Density Functional Theory', International Journal of Advanced Biological and Biomedical Research, 1(11), pp. 1505-1511. Seyed Hosseini, S., Agha Mohammadi, M., Mousavi, M. Study of Photoisomerization in Cis-Retinal as a Natural Photo Switch in Vision Using Density Functional Theory. International Journal of Advanced Biological and Biomedical Research, 2013; 1(11): 1505-1511.